How do you win a marathon? You might start running every day, but without a plan, you’re probably not going to finish the race, let alone win. You need to know the times to beat, identify your weaknesses and set goals to improve your performance. As a supplier in an increasingly complex digital race, benchmarking your supply chain can provide the insights you need to win. Benchmarking is a way of identifying the best possible performance to strive for. This might be done after your company has developed best practices but needs a refresher, or as a means of gauging your company’s position within its industry. From there you can identify your target, set performance goals and have a general idea of how long it should take you to reach those goals. Order Error Rate: The number of orders that are incorrectly processed compared to the total number of orders. Error rates can be assessed at various stages of fulfillment, including order picking, packaging, or orders shipped. Percentage of shipments on-time: A delivery performance metric that compares orders dispatched on or before the requested ship date with the total number of orders shipped. 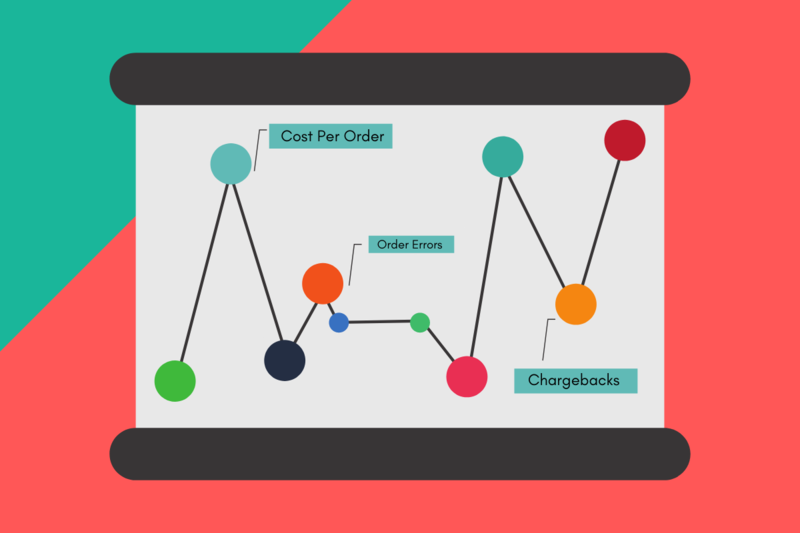 Chargebacks: One of the biggest indicators of a supply chain in trouble, chargebacks are incurred due to order failures or incorrect/missing EDI information. Once you’ve identified vulnerabilities within your supply chain, it’s time to develop a plan of action to mitigate the risks. As organizations are expected to perform complex, labor-intensive tasks, there is often a correlated increase in the number of supply chain errors and order failures occurring. Faced with rising demands, increasing automation can help improve metrics associated with your supply chain, particularly with regards to EDI. Although EDI promotes uniform communication standards, not all EDI solutions provide a competitive advantage. These methods, while an improvement over using fax, email, phone or paper documentation, are less than ideal since they require users to manually key in the information to initiate or end the EDI transfer. To close the loop on the supply chain automation process, many organizations are integrating EDI data directly into their ERP, accounting or business system. Rather than utilizing EDI strictly in response to a retailer mandate, for example, these suppliers have identified weaknesses in their supply chain that inhibit growth and increase costs – and opted for integration as a means of eliminating those issues. Integrating your EDI and ERP or accounting system allows you to send verified, compliant information to your trading partners without the labor costs of manually keying in the trading partner transactions. When your incoming and outgoing EDI documents and shipping requirements are mapped, tested and successfully automated, labor costs go down, error rates decrease and deliveries go out on time. While integration greatly reduces the need for manual entry by automating the stream of documents to and from your trading partners, there will always be exceptions. This is especially true as your organization takes on more trading partners, each with their own set of business rules pertaining to EDI and order fulfillment. For example, you may trade with partners that require the ASN to arrive before the invoice. If the invoice inadvertently arrives first, there could be a potential rule violation resulting in a chargeback. Luckily, there are tools that utilize artificial intelligence (AI) to surface such exceptions so that you’re alerted of pending rule violations before they occur. Exceptions are then quarantined before they are transmitted to trading partners or have the opportunity to disrupt your internal ERP or back-office system. In the race to grow your business, it’s vital that you establish a benchmarking strategy to encourage constant improvement. With EDI integration streamlining your supply chain, you will be able to track improvements and reach the goals you’ve set during the benchmarking process. If you want to learn more about how EDI integration can dramatically improve your supply chain and enable scalable growth, check out the webinar below. In it we dissect the integration process from start to finish and answer some common questions about timeline and expectations.